The plan for the Montreal Canadiens in the 2017 NHL Expansion Draft is impossible to figure out. I’ve tried. I’ve failed. Plenty of others are going to tell you that they know exactly what Montreal is going to do. They’re lying. It’s a complicated case. If nothing else, we at least have an extended opportunity for observation before the Habs hit the offseason. This is a team that looks poised for a deep playoff run. The midseason Claude Julien hiring injected a bit of life into the Canadiens, an odd thing to say considering they cut Michel Therrien loose when the team was first in the Atlantic Division. But you can’t argue with results. 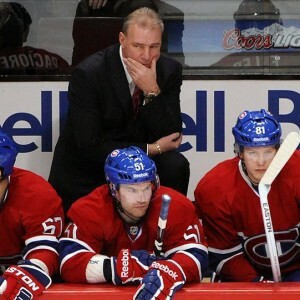 Therrien ended his time in Montreal with an 18-18-7 record in his final 43 games while Julien closed the regular season with a 16-7-1 mark. Two weeks later, the new-look Canadiens didn’t make a splash at the trade deadline but were certainly active. Smaller scorers were shipped off and bigger blueliners were brought in. All of which is to say it will be a tough road for general manager Marc Bergevin to navigate. Montreal is a good team, and they’re going to lose a good player. With so much uncertainty, this list could easily be twice as long. So fans of the Vegas Golden Knights should make Canadiens hockey appointment television for the remainder of the season. When you do, here are four to keep an eye on. In a 4-4 arrangement, Plekanec definitely gets exposed. With a 7-3 strategy, it’s less of a certainty. 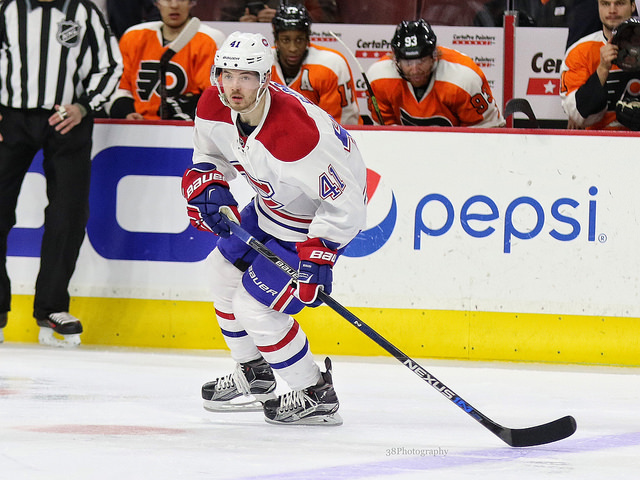 There are a lot of reasons for Montreal to hang on to the 5-foot-11, 196-pound center. He’s been with the Canadiens for his entire career and he’s a savvy, polished veteran. There are also plenty of reasons to expose him and hope that Vegas bites. He’s owed $6 million next year and is struggling through a significant drop in offensive production this season. 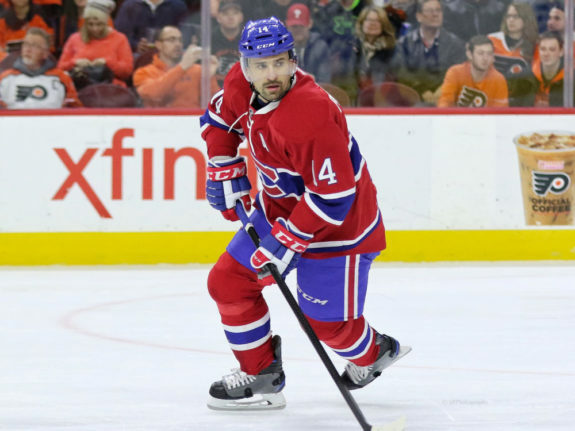 On the Montreal roster, Plekanec is the highest-paid player not named Shea Weber and the oldest player up for exposure not named Andrei Markov. Those may be bad things for the Canadiens but a good place to start for Vegas GM George McPhee. Youth is going to win for the Golden Knights long-term. That said, McPhee’s squad has to hit a salary cap minimum in year one as an NHL measure to ensure the Golden Knights are competitive in their infancy. Checking that box while also adding veteran leadership with a little bit left in the tank may be an attractive option. 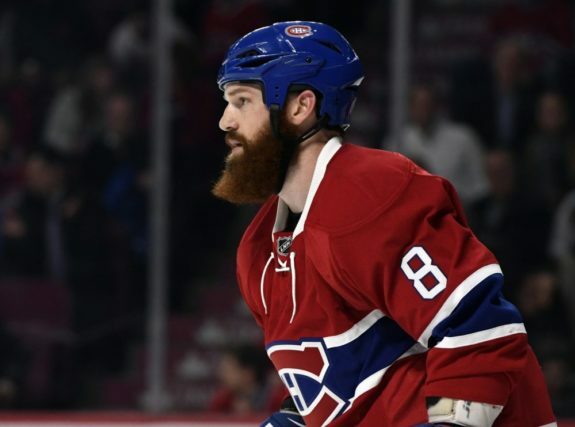 Montreal added depth to its blueline at the trade deadline by acquiring Brandon Davidson and Jordie Benn. That absolutely makes them a better team for the playoffs. It also means that flattering words like “prospect” and less-than-flattering words like “rental” will be thrown around in reference to Montreal defensemen for the remainder of the season. It’s possible both of these guys end up being exposed. I say to keep a closer eye on Benn because obviously the “prospect” label more aptly suits Davidson. I also favor Benn for this list because I included him on my rundown of Dallas Stars that Vegas fans should be watching before February’s trade. And I’d love to be right in a way. It would be a solid pickup for the Golden Knights. Big, inexpensive, and widely recognized as a hard worker. A great place to start. Montreal trading Sven Andrighetto to the Colorado Avalanche at the deadline helps to thin the competition ahead of the expansion draft, but I still find it difficult to envision a scenario where Byron is not offered up to Vegas. In his seventh NHL season, he’s turned in a career year. His 22 goals and 21 assists are both career highs by a mile. It’s simply the logjam at the forward position that will lead to Byron possibly relocating to Southern Nevada. At 5-foot-8 and 158 pounds, McPhee is going to have to look past Byron’s frame if he’s to add him to the inaugural roster. It’s a legitimate concern. He played in 81 games this year, but his previous high was 62 a season ago. If he can get past that, his decision ultimately becomes the same as Bergevin’s. Can Byron duplicate his performance from 2016-17? Jacob de la Rose represents the “project” option for the Golden Knights. He’ll almost certainly be exposed. 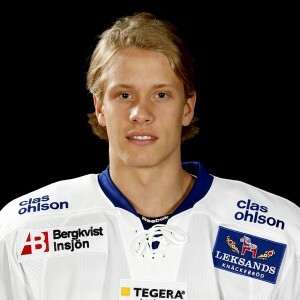 He’s 21 years old and is a restricted free agent next season. Did I mention you’ll need to find a place to watch AHL games to keep up on de la Rose? He’s got a grand total of 64 NHL games to his credit. He also has enviable size for the center position at 6-foot-3 and 214 pounds. He’s an aggressive player but is often labeled a fairly unimpressive scoring option. What he’s doing with the St. John’s IceCaps of the AHL can’t be ignored, though. He’s logged career highs with 13 goals and 16 assists in 60 games. It would be a stunner, but if the Vegas brass is impressed enough with that hockey sense, he could be getting a new sweater in June.